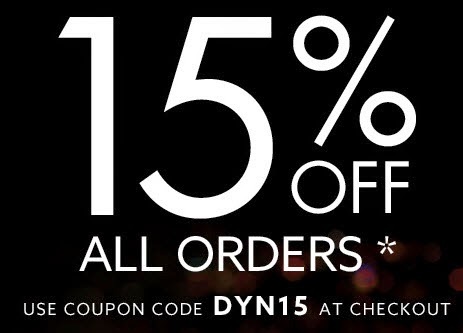 The promo code "DYN15" can get you 15% off all regular priced merchandise. This offer is not applicable for the purchase of sale items, Dynamite gifts cards, or online gift certificates and cannot be combined with any other promotion, offer or coupon. Offer is valid online only and does not apply in stores or to previously purchased merchandise. Discount is applicable to price before taxes and will be applied at checkout. Starting November 16, 2014 until November 26, 2014, Dynamite offers free standard shipping on your online orders.